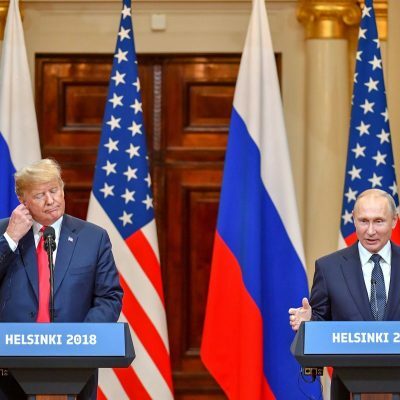 President Trump was savagely attacked by the American political and academic community over the Helsinki summit, during which, in their opinion, he capitulated to President Putin on every issue. The American press, who consider themselves to be the freest and most professional journalists in the world, continue their race to the bottom. First they humiliated their own president and country (there’s no other way to say it) during the Helsinki summit itself. Rather than asking about the most important issues on the global agenda, they were only interested in Russia’s interference in the American election. I guess that superpower has no other problems that are worth discussing with Russia (such as North Korea’s nuclear ambitions, Iran’s growing power in the Middle East, the failure to contain China, the collapse of the transatlantic alliance, or the inability to palm Ukraine off onto another financial sponsor), other than Moscow’s alleged influence on the US 2016 election. 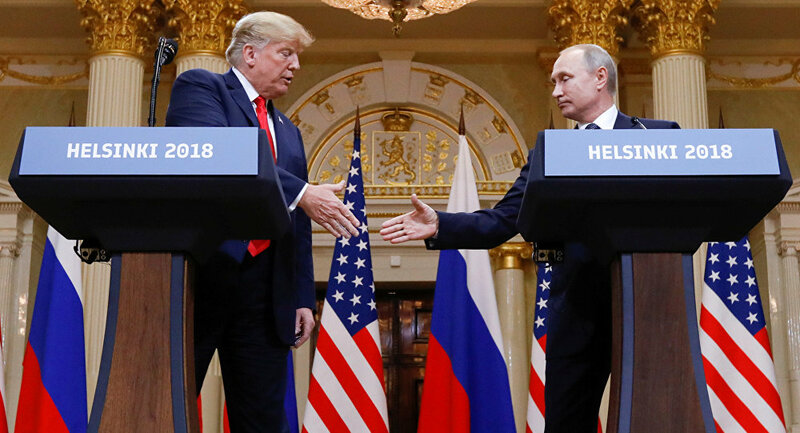 However, even if this is such a riveting topic, journalists should still ask questions, not simply make declarations that are all variations of “Why should the American people and Trump believe you when you say that Russia did not interfere in the 2016 elections?” Things got to the point that the American president was forced to defend his Russian counterpart in the face of their inappropriate behavior. Mr. Comey was the one who supported the cruel and deceitful Hillary, refusing to obey the law and protect his own country from an attack against his own president and constitution. However (unfortunately for Trump), even many Republicans have added their voices to the howl of criticism. Republican senator Jeff Flake holds the same opinion, claiming that he did not think that he would live to see such a day. The Republicans were displeased, first of all, that in Putin’s presence Trump questioned the national intelligence agency’s findings about Russian interference during the run-up to the election. And though the American president has already retreated a bit — claiming that although he places a high value on the work of the intelligence community, he simply wants to leave the past in the past — even so, the wave of rage has not subsided. Stupidity, treason, or the nation’s best interests? In terms of tone, the press articles only diverged in regard to their differing assumptions about the motives behind Trump’s capitulation to Putin. Some wrote that Trump lacked professionalism and backbone. According to the Washington Post, prior to the summit his aides had prepared as many as 100 pages of briefing materials offering advice and strategies to help Trump negotiate with Putin from a position of strength — but that the president ignored almost all of it. Others claim that the problem isn’t that there’s something deficient about the American president, but that the Russian leader has something extra. “President Trump’s weakness in front of Putin was embarrassing, and proves that the Russians have something on the president, personally, financially or politically,” declared House minority leader Nancy Pelosi. And former CIA Director John Brennan bluntly labeled the US president’s actions as treasonous. 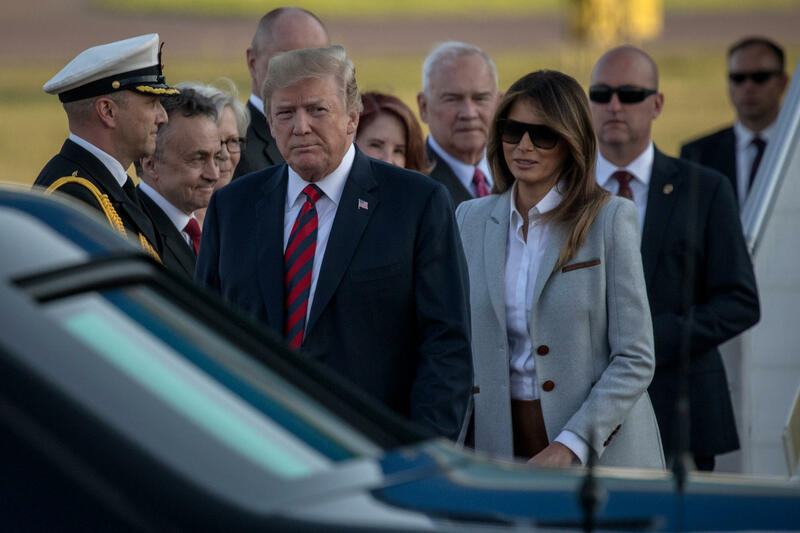 It will be interesting to see if the Democrats continue to advance this idea, because treason, unlike many of other charges that the establishment is pursuing against Trump, is a clear-cut basis for launching impeachment proceedings. What did the American president accomplish? What specific goals did President Trump manage to achieve during the Helsinki summit? First of all, Donald Trump and Vladimir Putin reached an agreement to resume their dialog on strategic stability and the nonproliferation of weapons of mass destruction. Given the past few years of escalating tensions surrounding these issues, plus recent events during which the whole world was literally on the verge of nuclear war, this step represents a real breakthrough. During that very meeting, the American president received specific proposals from his Russian counterpart, which have not yet been announced. Second, as a result of the negotiations, agreement was reached in regard to the most important aspect of US policy in the Middle East: reducing Iran’s influence in Syria. President Putin affirmed Russia’s commitment to reestablishing full compliance in the Golan Heights with the 1974 agreement on disengagement between Syria and Israel. Third, the American president managed to establish the prerequisites for constructing a new architecture for the global market for carbon emissions, in order to safeguard US economic interests. In addition, during the final press conference after the summit, Donald Trump was handed a real bargaining chip by his Russian counterpart, which he can use in his political battle at home against his relentless opponents. In response to questions about Russia’s alleged interference in the US presidential election, Vladimir Putin announced that William Browder’s company, Hermitage Capital — which has been accused of tax evasion on $1.5 billion of its Russian earnings that were taken out of the country — had actually funneled $400 million into campaign contributions for Hillary Clinton. Developments in the very near future will show how the US president will deal with the aftermath of the summit with his Russian counterpart. Whether or not he will be able, or allowed, to implement the agreements that were reached will largely depend on the outcome of the next round of the domestic political battles in Washington. All images, except the featured (from NPR), in this article are from Oriental Review.